Rabbinical group opens alternative Kashrut authority to certify Israeli restaurants, ending Rabbinate monopoly on certification. The Tzohar Rabbinical Organization, which provides religious services as an alternative to the state-run Rabbinate, announced Monday the launch of a new, independent kashrut supervision authority. Rabbi Raffi Feuerstein, a founding member of Tzohar, stressed that the program was in no way designed to replace the Rabbinate’s role in kashrut supervision, but rather is intended to improve the kosher food market, making it better for both consumers and restaurant owners. Speaking with Arutz Sheva, Feurstein said the goal of the new authority is not to replace the existing Rabbinate kashrut authority, but to expand the number of establishments with kosher certification, by giving restaurant owners unwilling to accept the cost and requirements of the Rabbinate an alternative which still adheres to traditional Jewish law. "We believe in the Chief Rabbinate of Israel. We are students of Rabbi Kook - he was the founder of the [Chief Rabbinate], and we believe that the Chief Rabbinate should be there as part of the State of Israel." "The kashrut market is, anyway, open already for many years...and we would like to give a wider alternative, which is according to Israeli law." "Many business who don't have kashrut [certification] will" accept the new kashrut authority. Directing the program is Rabbi Oren Duvdevani, who has decades of experience working in kashrut supervision both in Israel and abroad. Unlike existing kashrut certifiers, Tzohar’s new authority will include female supervisors. Supervisors for the new authority recently underwent a training course in kashrut offered by Tzohar and Emunah. Irit Gottlieb, who completed the course says she welcomes the chance to contribute. “As an Orthodox woman, I think this allows us to donate our skills and our experience as women to the betterment of kashrut and the community at large,” she said. 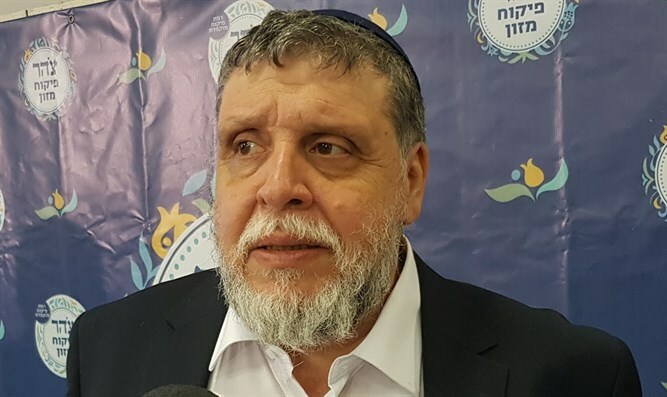 In announcing the initiative, Tzohar responded to questions over how Israeli law prohibits any supervising entities other than the Rabbinate from using the word ‘kosher’ in their certificates. The Tzohar initiative is therefore officially described as a “Food Supervision” and rather than use the word kosher, the certificate lists how the approved establishment acts in full accordance with the various halachic requirements for a kosher certification.